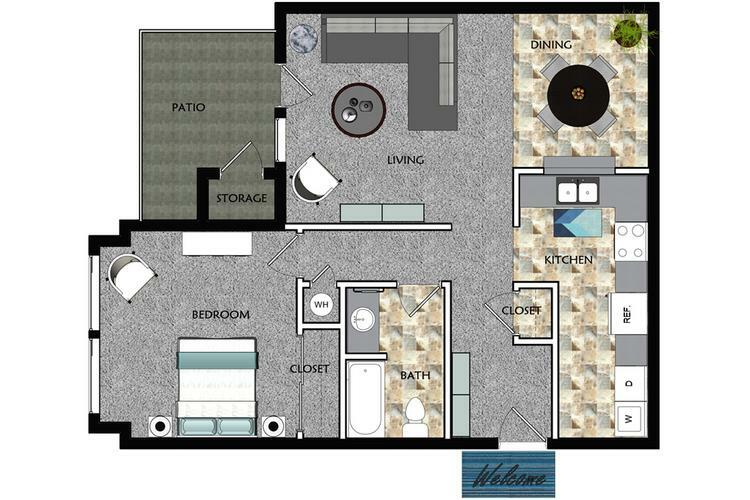 The Meadow is our incredibly spacious one bedroom one bath floor plan that offers everything you would need in the comfort of your own home. This wide open layout features your very own full size washer and dryer, fully applianced kitchen, and a sizable private patio or balcony with French Doors. Fireplaces available in select apartments. 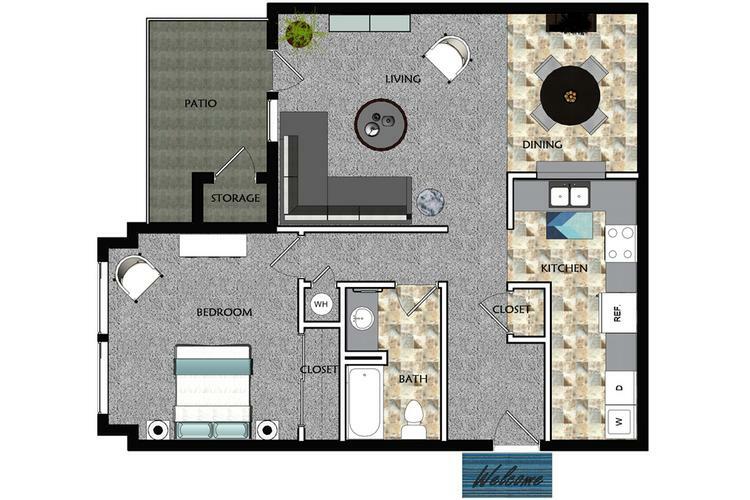 The Retreat is our second largest 1 bedroom apartment in Shawnee, KS providing you with the space you need. The Retreat will pleasantly surprise you with its features like your very own full size washer and dryer, fully applianced kitchen, and a sizable private patio or balcony with French Doors. 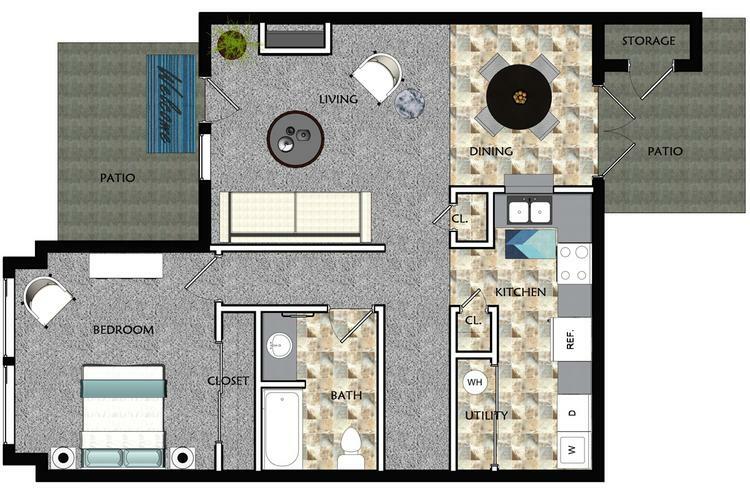 The Den is the perfect roomy one bedroom one bath floor plan offering a large living room, cozy dining area, kitchen, and plenty of storage. 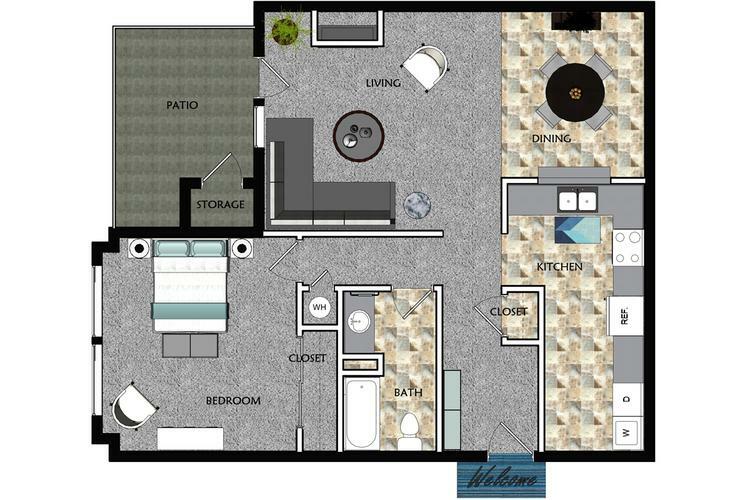 In our Den floor plan you’ll love relaxing on your private patio or balcony with beautiful French doors. The Cottage is the perfect one bedroom one bath floor plan offering an exquisite bedroom, living room, kitchen, fireplace, and plenty of storage. Our one bedroom cottage offers privacy and comfort, you’ll love relaxing on your private patio with beautiful French doors. This floor plan has two patios with private entry, one at your front door and one off your dining area.